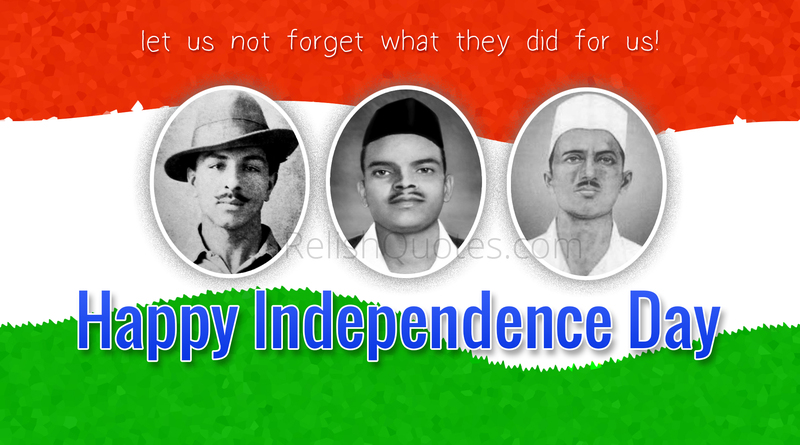 Remember Shahid Bhagat Singh, Rajguru, Sukhdev this 15th August! HomeSeasons and FestivalsRemember the Martyrs This Independence Day! Freedom is not achieved without sacrificing the blood. If these great fighters had not given their lives, we would not have seen today’s independent India. Let us remember the martyrdom of shahid Bhagat Singh, Sukhdev and Rajguru who embraced death with smiling faces and left a great motivation for millions of Indians that is inspiring us for generations now. The Indian freedom struggle is incomplete without the mention of the greats like Subhash Chandra Bose, Chandrashekhar Azad, Bhagat Singh, Rajguru and Sukhdev who choose to take the weapons to fight the British. Their ideology was different than that of Mahatma Gandhi. However the objective was the same – Complete Independence of India. These fighters have left in impact in the history of Indian freedom struggle that it is incomplete without the mention of their names. Let us remember them and their work this 15th August while we are celebrating the Independence Day of India.